A Philadelphia Gas Works district office in South Philadelphia. State regulators again are calling on Philadelphia elected officials to get rid of the "duplicative" Philadelphia Gas Commission, which they say costs city gas customers nearly $1 million a year. The Pennsylvania Public Utility Commission, in an update of its 2015 management audit of the Philadelphia Gas Works, said the city had failed to address a longstanding suggestion to streamline the "duplicative and unclear governance structure" over the city-owned gas utility. "I urge the City of Philadelphia to seriously evaluate PGW's governance structure and to create the changes needed to reduce the financial impact that the current duplicative structure has on the city's ratepayers," David W. Sweet, a commissioner, said in a statement. 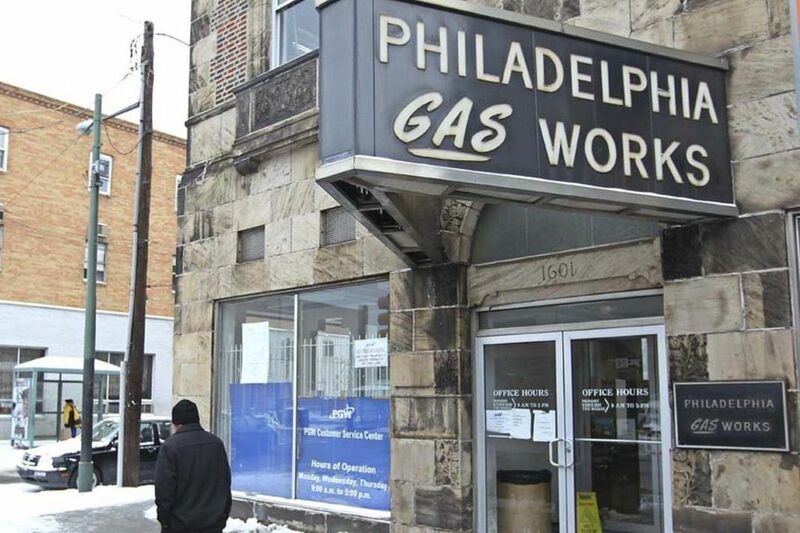 But the Gas Commission chairman, City Councilman Derek S. Green, on Monday defended the agency, saying its costs were money well spent, as it had saved ratepayers more than $250 million over 16 years through PGW budget reductions. "We're always looking at ways of making PGW a more efficient entity," Green said. About $190 million of the savings were cuts to the utility's capital budget, however, which the PUC has criticized for slowing replacement of critical infrastructure. PGW currently reports to two city bodies: The Philadelphia Facilities Management Board, a panel of seven unpaid mayoral appointees that operates like a corporate board of directors; and the Gas Commission, whose unpaid members include two appointed by the mayor, two appointed by Council, and one by the city controller. The Gas Commission once functioned as a regulatory body, setting rates and handling customer complaints, but its role was diminished in 2000 after the state legislature assigned oversight to the PUC. The Gas Commission's role is now is largely focused on approving PGW's budget after it is reviewed by the Facilities Management Board. PGW should streamline its corporate governance structure by combining the Gas Commission and governing board into "a single board with comprehensive, clearly defined roles and responsibilities," the PUC's audit bureau said in its report, which the PUC unanimously approved on Thursday. "The current corporate governance structure is duplicative, does not follow standard governance practices, and has been highlighted in numerous PUC audit reports as inefficient," the agency's auditors said in the report. The PUC auditors said the Gas Commission's cost amounted to $954,000 per year for 2016 and 2017. Green said the budget was about $100,000 less. About half the budget pays for salaries of the Gas Commission's five-person staff, he said. The rest largely pays for rate experts and other consultants. Overhauling PGW's governance would require an ordinance by Council, which maintains a level of influence and control through the Gas Commission. "We're always looking at ways to streamline governance to make PGW more efficient and effective for the ratepayers and residents of Philadelphia," Mike Dunn, a city spokesman, said in a statement. "We continue to have discussions on the question with stakeholders, and we are fully aware of the PUC's perspective." Since it was placed under state control after a financial crisis in the 1990s, PGW has had an unusual relationship with the utility commission, which is accustomed to regulating investor-owned utilities that it can financially penalize through fines or even a license revocation. Municipal utilities, owned by the public and governed by political leaders, do not always respond to the same incentives. The friction reached a low point in 2014 when Council declined to consider Mayor Michael Nutter's proposed $1.86 billion sale of PGW to an investor-owned utility, effectively killing the deal. Some PUC members suggested the state could force the city to give up the $18 million annual fee receives from PGW, though it did not follow through on the threat. The PUC highlighted the recommendation to overhaul the utility's governance structure Thursday, though it was only one of 65 recommendations it made in 2015 audit. The PUC commended the utility on some progress since the 2015 audit. PGW has accelerated replacement of aging cast-iron gas mains, saved $47 million over two years by maximizing purchases of natural gas from the Marcellus Shale region, and improved scores in customer satisfaction surveys. "PGW is growing in value as an asset to the City of Philadelphia, and a big reason for that is our focus on constantly improving the way we work, on behalf of the people and businesses of Philadelphia," the utility's spokesman, Barry O'Sullivan, said in a statement. "The PUC is obviously a key part of that effort, which is why we have already implemented many of the recommendations in the Stratified Management and Operations Audit."